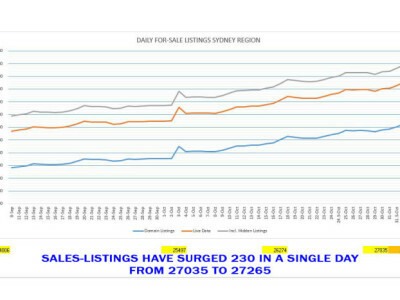 Is it the beginning, or is this the tail end of the surge in for-sale listings, in the Sydney Region? If we were to believe the Main Stream Media (MSM), it is the end and things will settle down into 2019. 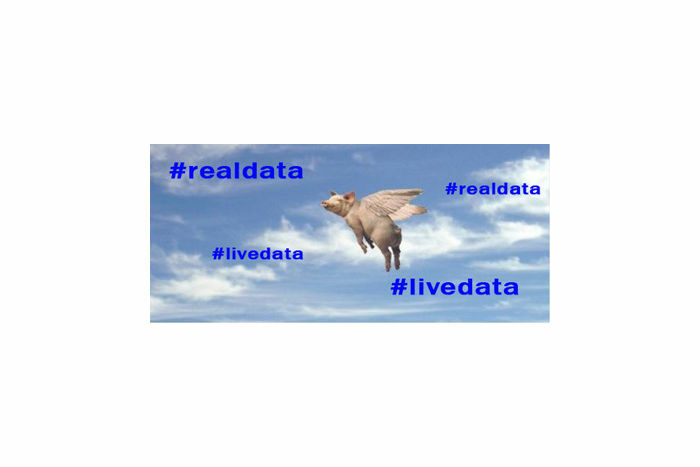 I say to the above, pigs fly. There were a few factors which contributed to the slow rise in numbers, at the beginning of spring. Heavy rain extending over a few weeks, as well as time delays when dealing with tenanted property, are a couple of notable issues. In the meantime, others continue with the rhetoric - Listing numbers are slowing down, as owner occupiers, take their properties off the market and it's not as bad as it seems. The graph below, shows the ongoing trend, in sales-listings as they continue to rise. It may be true to say, owner occupiers are taking their property off the market. It is also true, in my opinion, the large numbers coming on the market, are investor-owned properties. Types of Investment properties that are flooding the market. Interest Only Investors – people with matured IO Loans that are now forced to convert to, Principal and Interest and can't. With the only option to sell. Houdini Investors – off-the-plan sold property, finding their way back into the market. Investors unable to settle for various reasons. Astute Investors – owners that are carefully analyzing present market conditions and see that it is time to exit. Dilapidated and Badly Maintained Investments – property that now sits on the rental market for a long time and is too costly or owners are not in a position, to repair. Where to next, if you are in a position that you have to sell? The simple answer and for many somewhat complex, is to get on the market ASAP. I encourage you, to seek all your financial – tax advice, prepare your property and do it quickly. We are moving deeper and deeper, into a buyer’s market territory. Now consider the following points. Don’t procrastinate, if you have been putting it off obtaining – maintenance or seeking financial advice, move quickly. The more you wait, the more competition you will have. Competition means – lower prices and longer days on market. There are many free sites to gather good property information and besides, your agent should also provide sound advice about the property price point. The market is changing rapidly and in many areas, downward pressure on prices is greater. Not all suburbs are the same, not all Local Government Areas are the same and although the MSM post averages, for property values. It is important to become familiar with what is truly happening in your local area. It's not just about the price point alone, in and under this market. Credit plays a very significant part. Banks have tightened up credit-conditions. Work with the buyers. Many of my colleagues, have lost buyers and all due to vendor and agent-impatience. There are many other factors to consider, when taking a property to market and particularly in these conditions. For now, the importance of this message is: for-sale listings are heading north and rising quickly. Don’t procrastinate on preparing your property and entering the market. As always, feel free to reach out and send me an email: edwin@ribbonproperty.com.au.